SEO for IoT helps your invention to be visible to the world and bring your brand in front of potential customers. Are you looking for an SEO company for IoT business? Then, welcome to Egochi a professional SEO agency for the Internet of Things. We ensure your machine learning technology is found by its potential customers. White hat SEO services enable you to rank higher on search engines and also build your online reputation. We recently did a technical SEO audit for an IoT business and recorded the entire process on YouTube. In the video, you will see me looking at the on-page parameters missing/incorrect on the website also an overview to improve the site for better customer experience. What are the most common ranking flaws in a website? How can Egochi SEO improve website’s performance? When do I see ranking improvements? Does the SEO grow my website traffic? A reliable search engine optimization process gets people talking about your brand and grow your conversions. We build high-quality backlinks and get you strong social media signals. on-page SEO. The first step of “SEO for Internet of Things” involves technically fixing the website in order to give search engines the right signals about the website. Technical SEO is a process where we optimize the website with key elements such as ensure that the Meta Description & Tags are in place and every important page has the right schema markup embedded into it. We did an SEO audit for Augmented Self and recorded it on YouTube. Let’s talk about a good but simple SEO plan for your IoT business. It is important that you talk about your IoT invention using your website this way you will be able to educate people and showcase how your invention makes a difference. The best way to do so is by providing good quality content to the world, most importantly ensure every page on your website has at least 500 words and ensure you have a blog page on your website where you upload an article every day or once a week. If your website is on WordPress then install Yoast Plugin and ensure that you meet the SEO parameters on every page. If you do it right, Yoast will display a green button which means you are good to go. Make your content interesting by adding quality images & videos and then share the pages you create on your social media accounts. even further. This will enable you to bring good quality visitors looking for your content and subscribe or even bookmark your website for future updates. Content is known to be the king in the SEO world and Google has made it very clear that good content can take the website a long way. The people who know that are posting articles every day on their website, just one article with 500-1000 words every day will get the job done. It does not get easier than that, If writing content is difficult then you can hire a professional Egochi content writer to write awesome content about your IoT business. There are some traditional strategies used during SEO for IoT such as social bookmarking, news submissions, blog submissions, article submissions, video submissions and image submissions. These traditional ways have proven to drive a good amount of organic traffic to your IoT website, however, don’t automate them or but them on Fiverr as this action can get you penalized instead do as we would do it, the right way. Create them manually and show search engines that it’s a human doing it and not a bot. However, off-page SEO is not limited to only submissions but also on effective link building. This can be achieved by guest posting on relevant blog sites talking about IoT. While researching about SEO for IoT we found a lot of sites where you can post your articles and get a backlink. In order to find these sites simply type [IoT “guest post”] or [IoT ”Write for us”] and pick the ones that best suit your needs. We use a tool called Moz Bar to analyze these guest posting sites to check their page & domain authority as a higher PA & DA is good for ranking. We also check the sites spam score as we don’t want to relate an IoT website to a spammy site. I can go on and on about off-page SEO as the topic is really vast but for now, the above-mentioned tips will definitely do justice to this important process. Right after Good content and on-page technical SEO comes the third most important ranking factor in the SEO for IoT company process i.e. link building. Building links are crucial especially when you are trying to rank for a competitive keyword. We did talk about guest posting earlier hence, you can definitely use it to full scale as an effective link building technique for your IoT company. You can also step it up and build high official backlinks such as .edu & .gov links. 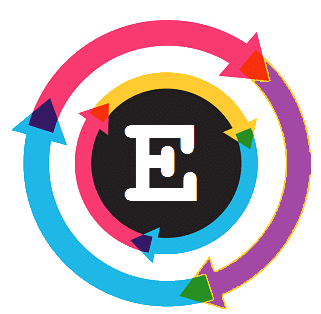 At Egochi once the technical SEO and the content strategies are completed we move on to build links for the IoT business and getting links from educational sites like schools, colleges & universities are an important part of our approach. Even links from government agencies prove really helpful for the rankings. .EDU &.GOV links give a website high value as search engines consider them a highly trustable and informative source. In order to get .edu links, you can contact the HR division of the educational institution and see options of getting a link by offering some value in return. These links are like gold when it comes to SEO for IoT company and search engines treat them the same way. You can .gov links by writing about government agencies or politicians or even trying to an agency and get listed on a government resource page. These are some fruitful ideas that we have used in the past for our clients and they all worked beautifully. I hope you loved our small guide to “SEO for IoT” & “SEO for Internet of Things”. If you need a professional SEO agency to get the job done then fill the form below and let’s get started. There are over a billion people on social media sites like Facebook, Google Plus & Twitter it would not be right if our IoT business is not on these channels. multiple accounts on various channels and expect to drive a ton of people to your account automatically. You need to ensure that you only create accounts that you are sure to maintain on a regular basis. 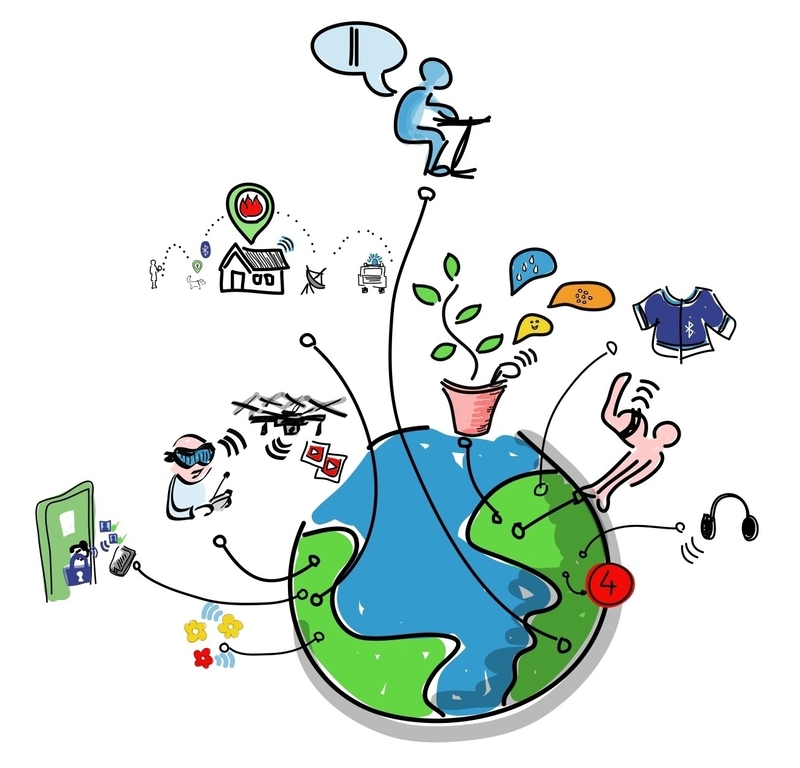 We noticed that Facebook & Google+ fits perfectly for an IoT business as a lot of people are talking about Internet of Things and are into internet marketing for IoT. Make sure you make at least a post every day and join related groups on Facebook and communities on Google+. You will find more than a hundred groups & communities related to IoT thus join them and share your web pages & blog posts on these channels regularly. Google looks at social signals closely and promotes sites that have a strong one, therefore, your aim should be to be consistent on related channels and grow your fan base. Once you have 100+ followers and fans we recommend investing in paid social media campaigns as well, as this would reach out to more people in the industry and get more strength to your social signals. It is the easiest and powerful way to grow social traffic and signal strength thus do it right. Having a presence is important and in order to do so you need to be on the online maps, the worlds most used map is Google Maps. The best way to get listed is by opening a Google My Business account and verifying it. Once done you can start building citations & directory listings in order popularize your listing and if done right you will appear in the local map pack. Here is an image to showcase how a local map looks like on Google search. This way you will be able to drive local traffic to your business and be found locally. Once you get listed on GMB, add appropriate images and content to the account and add your business map on your contact page along with your address. This provides more link juice to your website as well as to the local map listing. Hiring an SEO agency for your IoT company is a right decision as you get to concentrate on your work and while we market you to the online world. Building reputation and social signals prove to be a fruitful step for every business as this bring potential customers right to your doorstep. I hope you liked this article and I would love it if you could leave some awesome comments below.